Ever since he was a boy, Prohaska has been fascinated by images. They will define his life and career as a filmmaker, photographer and painter. But Prohaska is a unique artist, obsessed with disappearance and invisibility, a man full of contradictions who leaves no single image of himself but seems to have seen everything. The central focus of his work is the cruelty of the 20th Century, which he insists on depicting in different ways with an approach that asks two difficult questions: The first is whether one can live without ideology; the second is whether it is possible to observe with impunity. Medusa explores our responsibility towards History and Art’s power to challenge it. Medusa returns to the war-torn Europe of La Ofensa, which sold 35,000 copies. 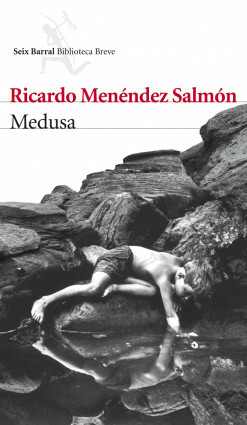 Ricardo Menéndez Salmón is one of the most respected and critically acclaimed authors writing today, he has won dozens of literary awards and his work has been translated into several different languages, establishing his place at the forefront of literature today. The story of a man obsessed with documenting the cruelty of the 20th Century. Wagenbach (Germany), Jacqueline Chambon (France). Wereldbibliotheek (The Netherlands), Porto Editora (Portugal), Marcos & Marcos (Italy), Ithaki (Turkey).